My friend Mrs Smith was in town from the South last week. On her list of “things to do in Seattle” was “take a ferry somewhere”, so we went to Whidbey Island. The day was absolutely beautiful: sunny and hot for Seattle (mid 70’s). We wandered around Langley for a bit and had lunch at Useless Bay Coffee Company, which turned out to be very vegetarian friendly (for me) and gluten free friendly (for Mrs Smith). 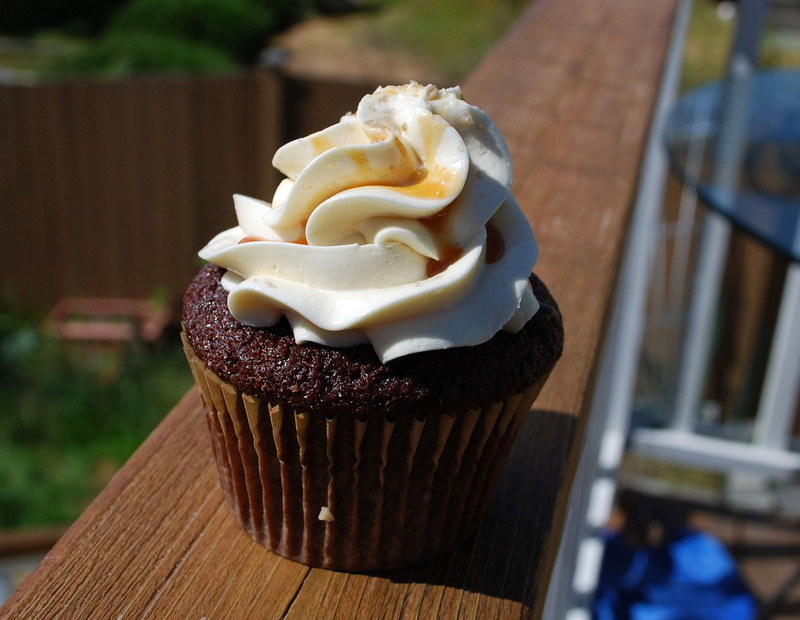 At the Whidbey Island visitor’s center, we picked up a flyer for Whidbey Cupcakes, so with high hopes of gluten free goodness, we went there for dessert. Unfortunately for Mrs Smith, the cupcake cafe had run out of their Choochokam cupcake, a gluten free Ghiardelli chocolate cake topped with Madagascar vanilla and organic chocolate butter cream, so she ate some M&M’s while I had my cupcake. I was very excited when Mr Shuck told me he got a present for me last week. I knew he was downtown and was hoping for a Yellow Leaf cupcake. I got 2! One was the Chocolate Joy, an old favorite. The other was a new flavor for me, Salted Caramel. 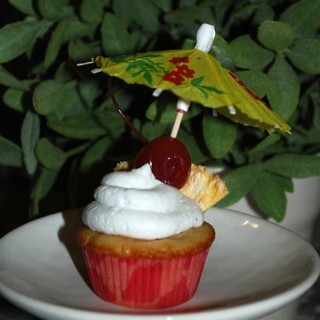 Yellow Leaf rarely disappoints me and this cupcake was no exception. After the lunch buffet at Chutney’s, Mr Shuck and I wandered upstairs to Trophy for a peek at their offerings. Specials today were Stroop Waffle, Chocolate Guiness Stout, and Chocolate Hazelnut. I chose the Stroop Waffle, which I thought was going to be waffle flavored, so I was expecting some maple syrup or something. 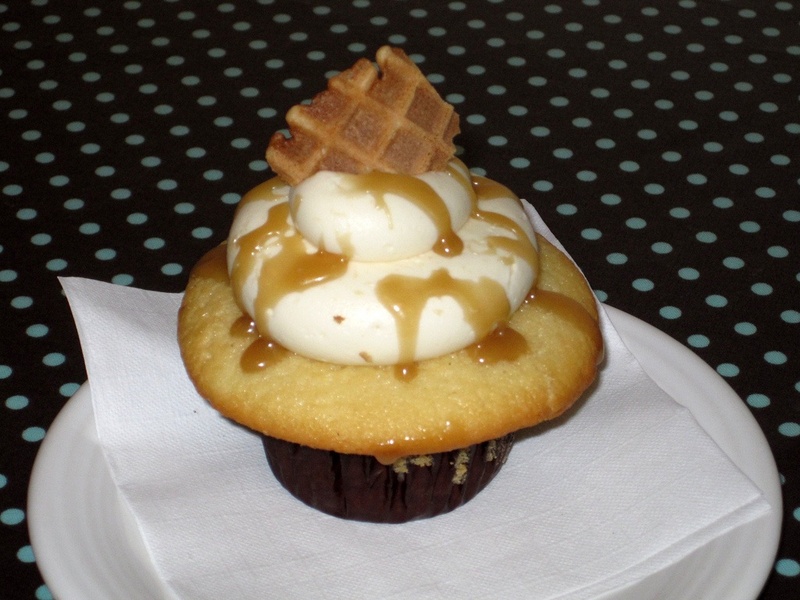 What I got was a vanilla cupcake topped with caramel buttercream, caramel drizzle and a bit of waffle cone. 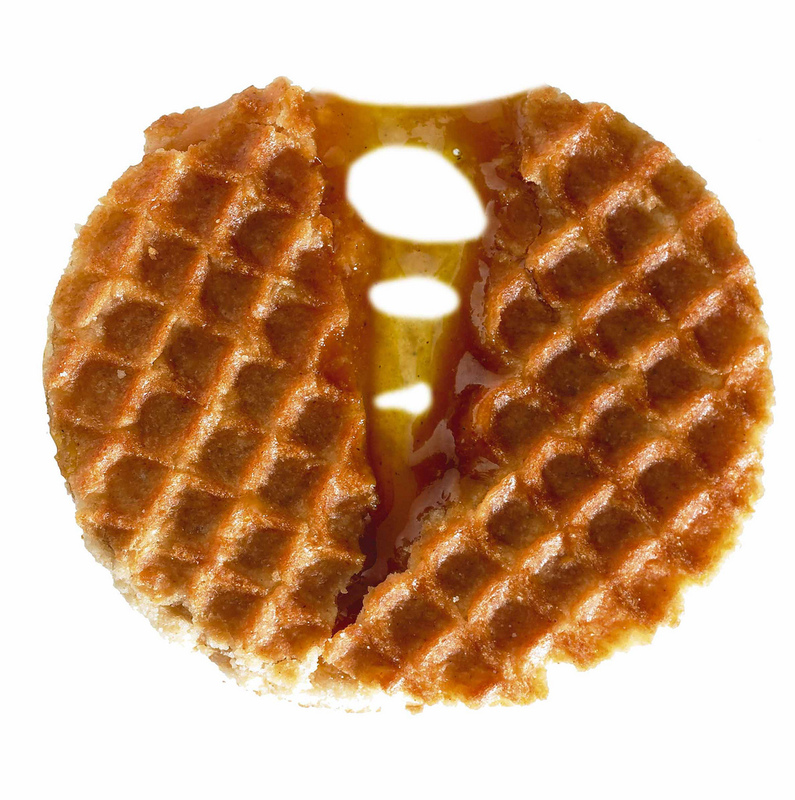 After I got home and Googled “Stroop Waffle” and discovered that it is a waffle shapped cookie filled with caramel, the flavorings made more sense. I also recalled eating almost a whole bag of these delicious cookies which someone from work had given me. Photo stolen from Daelman's Stroopwafel: click to enlarge. The vanilla cake of this cupcake was delicious. Normally, I’m not that crazy about Trophy’s cake, but this was wonderful. 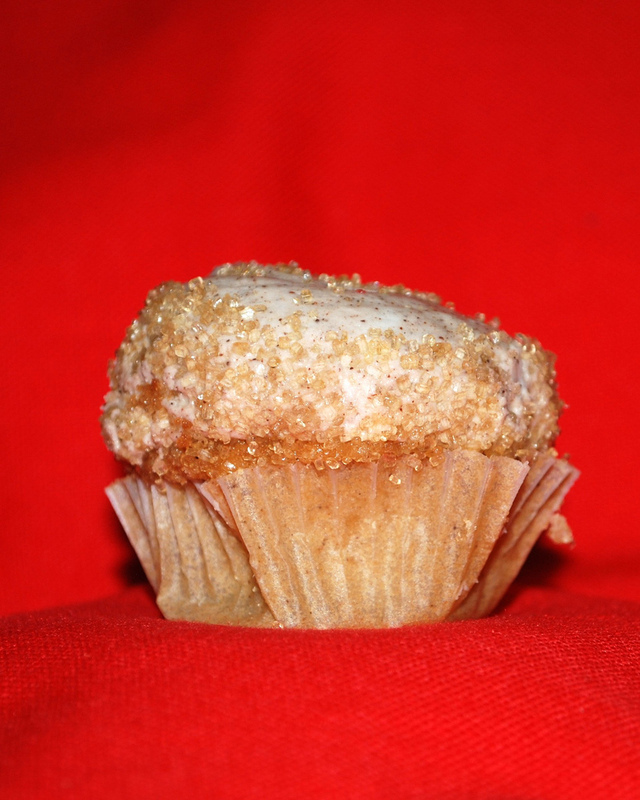 It had an especially big “muffin top”, so the edges were really crispy where it touched the baking pan. Delightful. Then there was the icing… Trophy’s icing is typically too sweet for me. 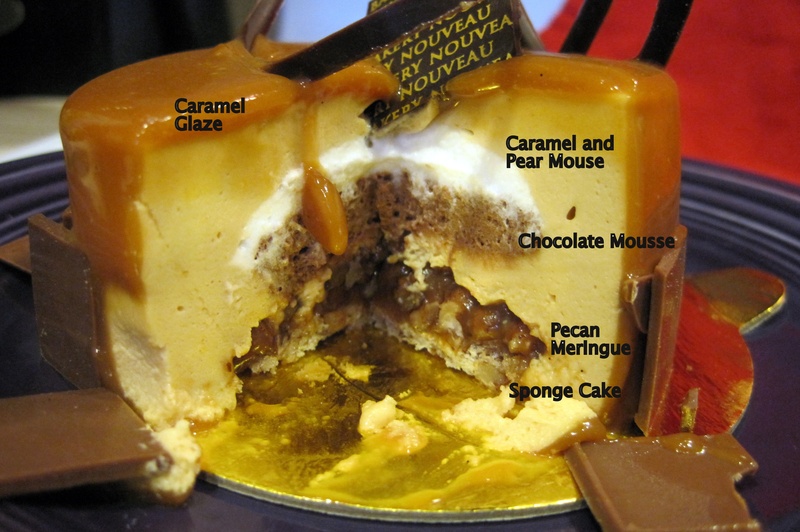 When you add CARAMEL to their already too sweet butter cream, it becomes deadly. Mr Shuck only had a tiny taste and stated that it reminded him of eating a sugar cube. If there is any doubt how I felt about the icing, the below photo is of my plate before I put it into the bus pan. 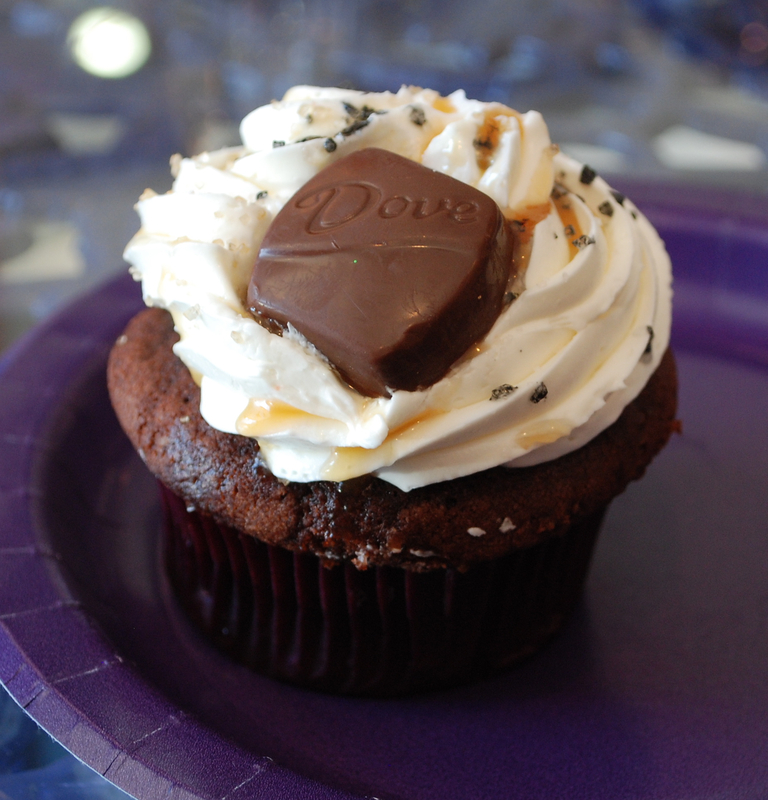 Trophy's Caramel Buttercream: click to enlarge if you dare! 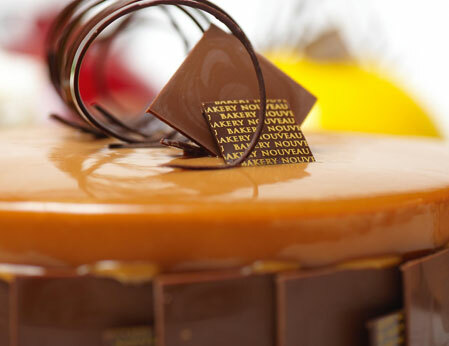 My rating: Cake ♥♥♥♥(the best cake I’ve ever had at Trophy). Icing: ♥. Overall Rating: ♥♥. I probably wouldn’t purchase this again. I’d eat it if it were free, but I’d leave the icing on the plate again. Italian Cream cupcake from Honeymoon Bakery: Click to enlarge. 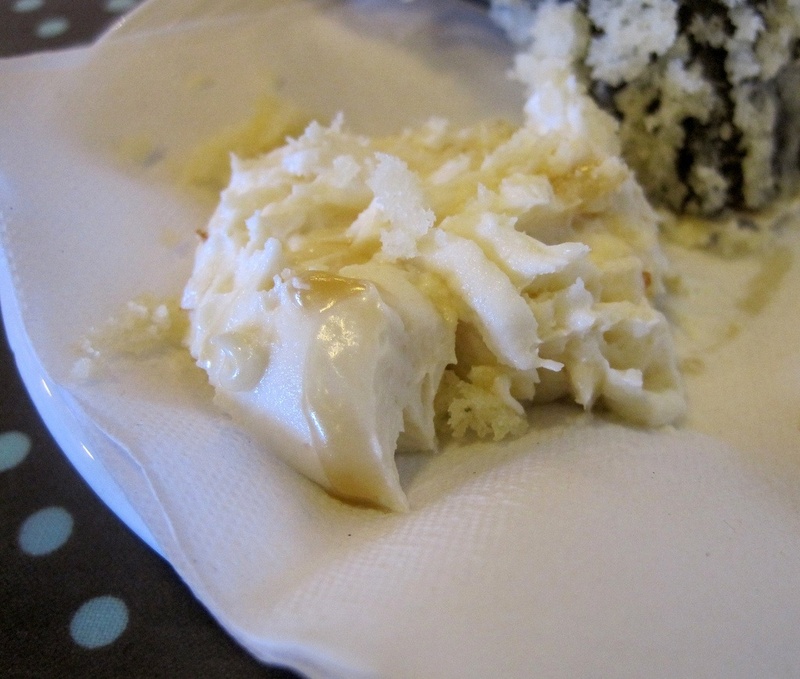 Italian Cream: coconut and walnut studded white cake topped with cream cheese icing, coated with more nuts and coconut. Mr Shuck and I both really liked this cupcake. We ended up going back another day for second one. 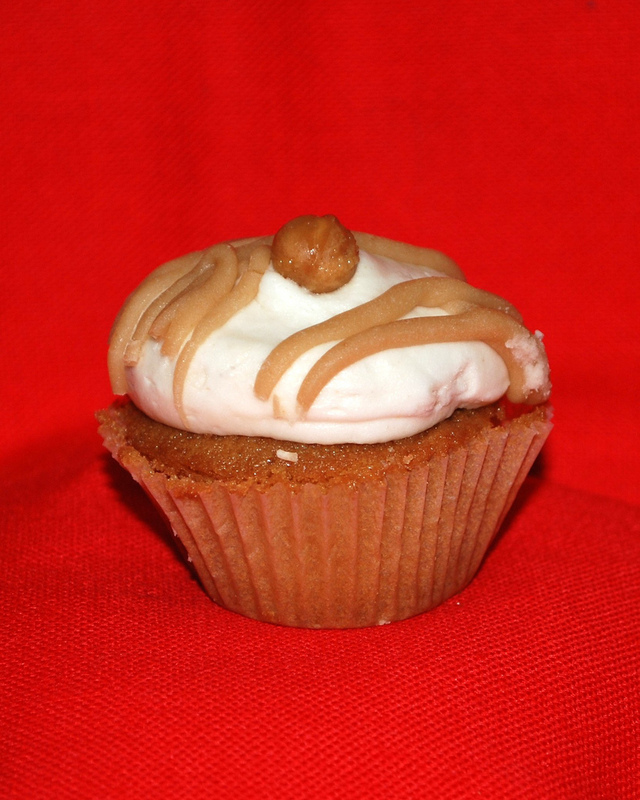 The first cupcake was really moist and had a nice texture from the walnuts. The second one, however, was a little dry and crumbly. The icing was tangy from the cream cheese and there was just the right amount of it. 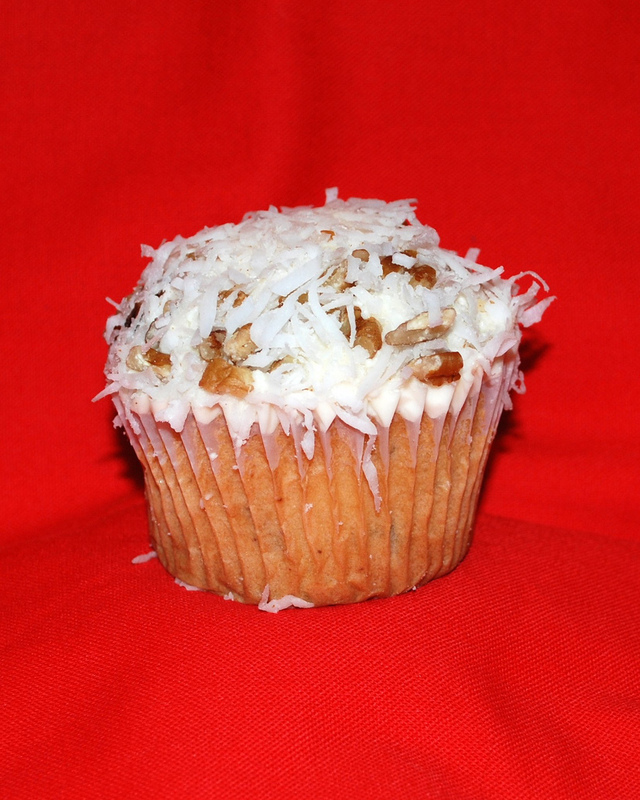 The coconut and walnuts on the icing added interest. If we hadn’t gotten the second cupcake, the rating probably would have been a bit higher, but the dry cake the 2nd time around lowered the rating a bit. Cake: ♥♥♥, Icing ♥♥♥♥; Overall ♥♥♥½. 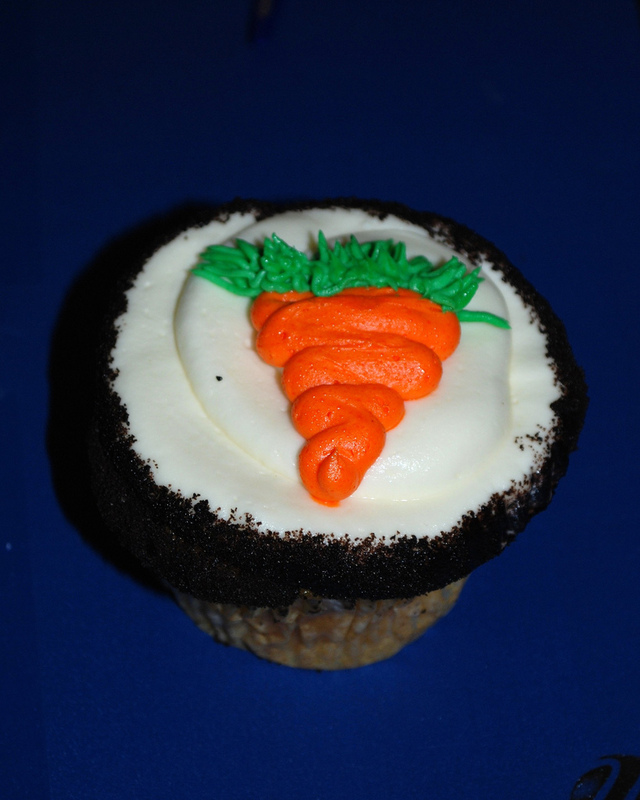 The carrot cake was very moist and had large shreds of carrot visible, but without an abundance of carrot flavor. However, it was a bit underdone in the center and a bit wet. 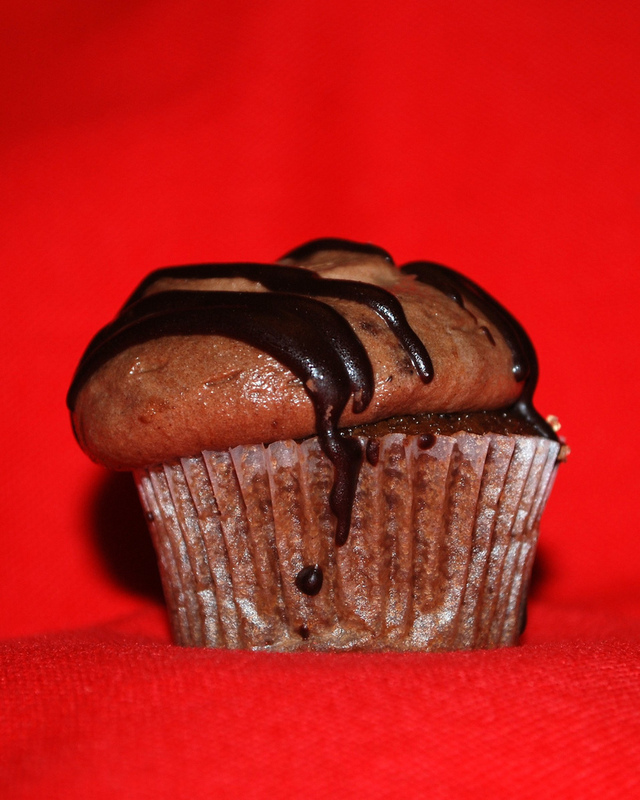 The icing was smooth and creamy and had the right balance of sweet and tangy. It was also very cute. I assume the brown crumbs were chocolate cookie crumbs, but they didn’t add chocolate flavor, just a bit of texture. Overall rating: ♥♥♥. 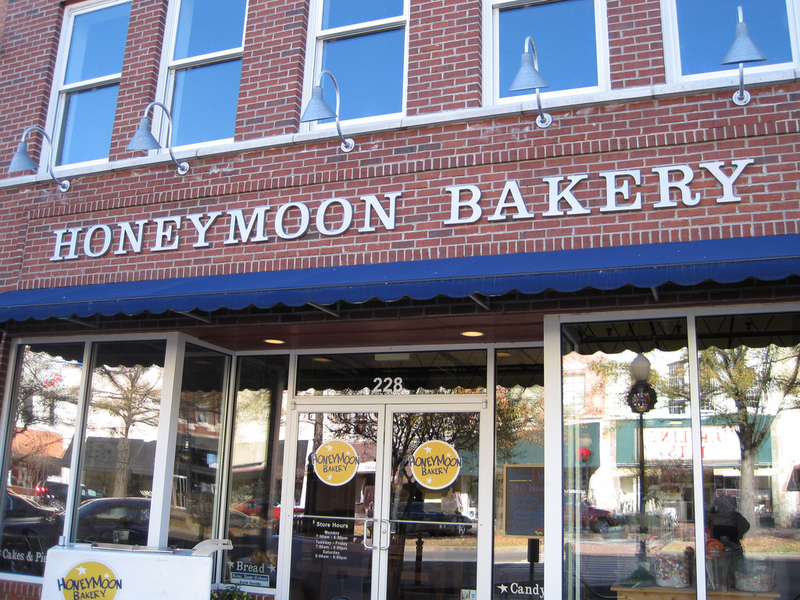 All in all, I was impressed with the cupcakes at Honeymoon Bakery. The staff was very friendly and cheerfully answered my questions about ingredients. I would definitely go back if we are in the area.